overlap computes the amount of overlap (in the case of positive values) or distance (in the case of negative values) between feature coordinates occurring on the same input line and reports the result at the end of the same line. In this way, it is a useful method for computing custom overlap scores from the output of other BEDTools. -i Input file. Use “stdin” for pipes. 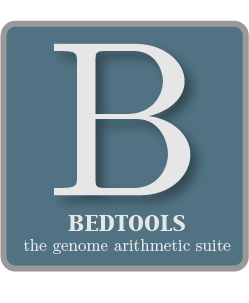 # Now let’s say we want to compute the number of base pairs of overlap # between the overlapping features from the output of windowBed.